(RxWiki News) There’s a common notion that cigars may be safer to smoke than cigarettes because they are often not inhaled. 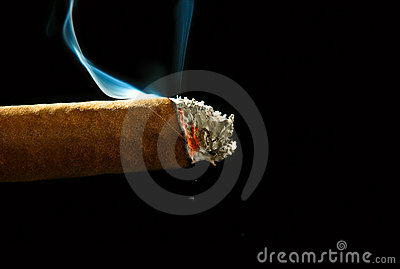 New evidence, however, suggests that cigar smoking may pose some serious health threats. A new study found that cigar smoking carried many of the same health risks as cigarettes. The habit was tied to lung cancer, pancreatic cancer, heart disease and other potentially fatal conditions. The American Cancer Society notes that many people view cigar smoking as more sophisticated and less dangerous than cigarette smoking. This perception may have contributed to the doubling of cigar use over the past 10 years. Cindy M. Chang, PhD, an epidemiologist at the US Food and Drug Administration’s Center for Tobacco Products in Washington, DC, led this study. Dr. Chang and team reviewed a total of 22 studies on cigar smoking and its effects on health. These studies focused primarily on white men in North America and Europe who smoked cigars in the 1960s or earlier. Those who were exclusive cigar smokers with no history of cigarette or pipe smoking were more likely than nonsmokers to have oral cancer, esophageal cancer, pancreatic cancer, laryngeal cancer, lung cancer, heart disease, and aortic aneurysm (a weakening of a large blood vessel), Dr. Chang and colleagues found. If the cigar smokers had previously smoked cigarettes, their risk of health problems grew, Dr. Chang and team found. This group had much higher chances of getting lung cancer and chronic obstructive pulmonary disease (COPD) than cigar smokers who had not smoked cigarettes. Cigar use in the US climbed from 6.2 billion cigars in 2000 to more than 13.7 billion in 2011, Dr. Chang and team noted. Over the same period, cigarette smoking dropped by about a third. Sixteen percent of young adults ages 18 to 24 said they had smoked cigars at least one day in the past 30 days in 2009-2010. More than 12 percent of high school students said they had smoked cigars or cigarillos at least one day in the past 30 days. This study was published April 23 in the journal BMC Public Health. Dr. Chang and team disclosed no funding sources or conflicts of interest.